Human evolution: Dryopithecus, Australopithecus, Homo erectus, Homo neanderthalensis, Cromagnon man and Homo sapiens; differences between apes and man. evolution of man - brief idea of ancestors leading to man of today; comparison and homology in chromosomes of apes and man. Homo erectus skull, Known as Java Man, this early human species was identified based on fossil evidence first found in 1891 in archaeological sites along the Solo River, East Java, Indonesia. This specimen is the Sangiran 17 skull, found in 1969 in the Sangiran Cave, Central Java. It has been dated to between 1.3 and 1 million years ago, though estimates vary. •In September 1890, his workers found a human, or human-like, fossil at Koedoeng Broeboes. This consisted of the right side of the chin of a lower jaw and three attached teeth. •In August 1891 he found a primate molar tooth. Two months later and one meter away was found an intact skullcap, the fossil which would be known as Java Man. Human evolution- when and where. •Reduction in number of trees. Development of distinct lumbar curve. Acetabular cavities shifted inside, hind limbs to support body weight. The fossils were discovered from rocks of Miocene age(20 mya). These resembled the great apes. Their arms and legs were of equal length. They had semi-erect posture, large canines, and without brow ridges. Two million years ago fossil baby skull called Tuang baby was discovered by Raymond Dart and named it (Australopithecus africanus). Australopithecus were about 150cm and its skull was like that was like that of modern apes with cranial capacity of 600cc. They lived during Pliocene and the Pleistocene in Africa. Another species of Australopithecus fossil “Lucy” was discovered by Donald Johanson in 1976. Bulge of occipital region small. Eyebrow ridges projected over the eyes. Pelvis broad and basin like. Teeth man-like with dental arch in the form of parabola. Simian gap between incisors and canine absent. Canines man-like and did not project beyond the level of other teeth. The fossils of Homo habilis or the handy man was discovered by Louis Leakey in 1960. These were found in rocks 1.6 to 1.8 million years old in east Africa. They were slightly more advanced than Australopithecus. They were 120 -150cm tall. They had cranial capacity of 730cc. They had human like body with an ape like head. They walked erect with bipedal gait. They lived in caves were herbivores and used tools of stones to dig out tubers and led community life. They are regarded as the last of the Australopithecus. They originated about 3.5 million years ago. The fossil was discovered by Eugene Dubois, in 1891. Dubois named the fossils as Pithecanthropus erectus or Java ape man. later it was renamed as Homo erectus by Mayer (1950) .They lived 1.7million years ago (Pleistocene) on the banks of Solo river in Java. They stood upright to a height of 150cms. The jaws were prognathous without a distinct chin. The cranial capacity was 900cc. 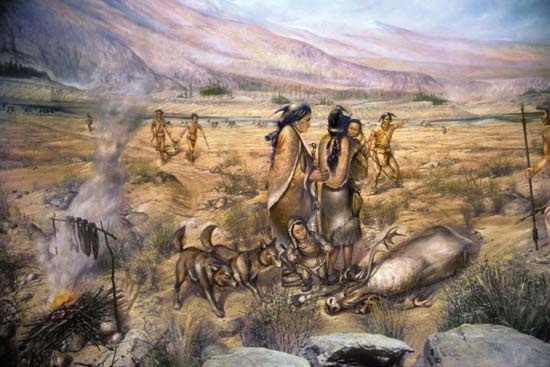 They were hunters and food gatherers, used stone tools for hunting, lived in caves, learned the use of fire for cooking and used animal skin for clothing themselves and probably used sign language. Fossil was discovered by C. Fuhirott in 1856. They arose about 1,00,000 years ago and became extinct 25,000 years ago. Strong lower jaw muscles and no chin. Short of stature 1.5 to 1.6m height. They used flint tools and animal skin for clothing. They buried the dead and performed ceremonies and constructed dwelling structures. Fossil was discovered by Mac Gregor in 1868 from the caves of north west Italy. They originated 50,000 years ago and existed for about 30,000 years. They became extinct 10-20 thousand years ago. They were about 1.8m tall. The cranial capacity was 1660 cc. They are prominent chin and narrow elevated nose. They were cave dwellers and hunters, they buried the dead and could make paint. They learnt to shape stones and bones into excellent tools. They had religious beliefs and burial customs. They developed the paleolithic culture. It is the living modern man, evolved 25 thousand years ago. Their evolution includes cultural evolution rather than anatomical evolution. He learned to cultivate plants and domesticate animals. Modern man is associated with neolithic culture. They settled down near lakes and ocean shores to catch fishes, and also started domesticating plants and animals. Caucasian- Europe and North America. Mongoloids- China, Siberia and Japan. 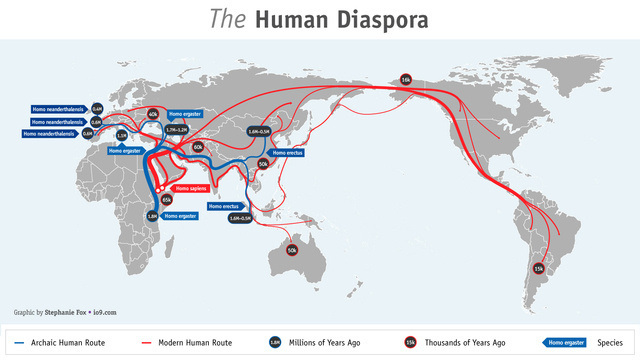 Cultural evolution started in the Pleistocene period with the early human ancestors leading a community life. They lived in caves to protect themselves from the predators. They started using tools for digging tubers etc. for food. They then started making tools for hunting animals. 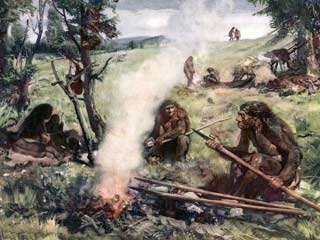 As evolution took place in the late Pleistocene, the used fire for defense and cooking. These early humans also used sign language for communication. The tools were more sophisticated and animal skin used for clothing. They followed religious customs and burial patterns. Cro-Magnon man knew the art of painting and sketching. 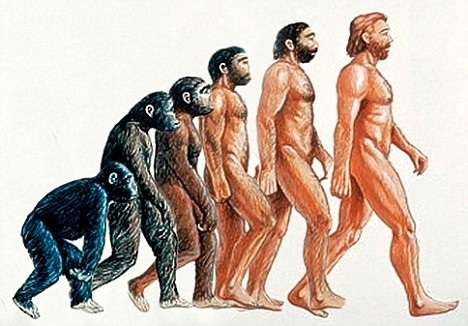 Modern man showed more of cultural evolution than anatomical evolution. For improved hunting, good tools were produced, later domestication of plants and animals led to the agricultural revolution and finally the latest industrial and scientific revolution. 1.Anatomical: These include the various morphological similarities posture, teeth, locomotion etc. Vestigial organs present in humans are also present in apes.